BY Michael Flynn, Trump’s disgraced former national security adviser, was behind it. 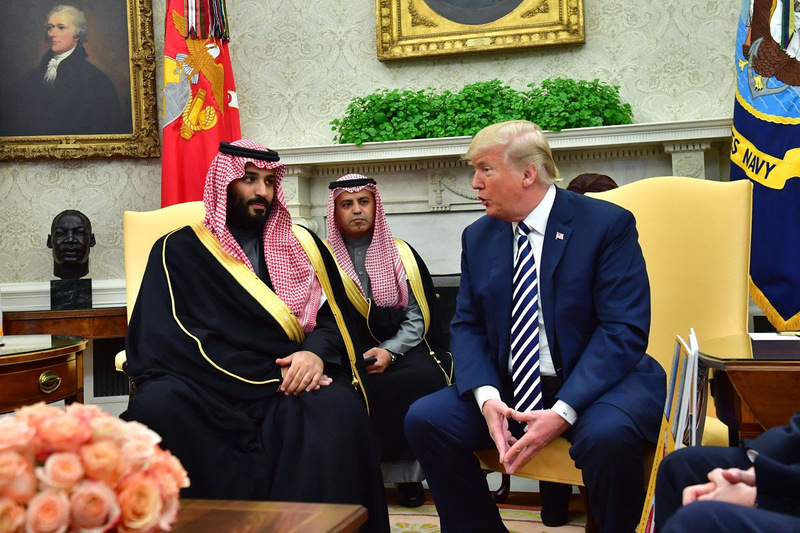 President Donald Trump meets Crown Prince Mohammed bin Salman of the Kingdom of Saudi Arabia in the Oval Office at the White House on March 20, 2018, in Washington, DC. A new report from House Democrats reveals disturbing new details about a secretive effort by top Trump administration officials to sell sensitive nuclear technology to Saudi Arabia — in defiance of at least some of the nation’s ethics statutes. The House Oversight and Reform Committee on Tuesday released a report — accompanied by a tranche of internal White House emails — detailing a scheme spearheaded by now-disgraced former National Security Adviser Michael Flynn to sell technology for roughly 40 nuclear power plants to Saudi Arabia.